When an ordinary Otter Box won't do. 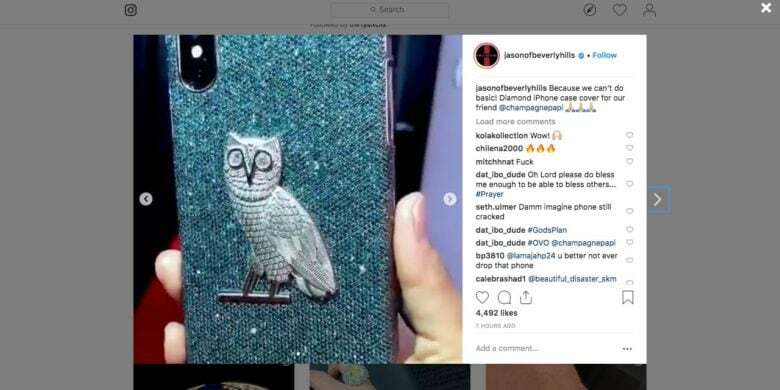 Canadian rapper Drake reportedly spent $400,000 to have a case for his iPhone X covered in diamonds and white gold. Drake is known to have a thing for bling, but this one appears off the charts. The case is 18k white gold and is covered with small blue diamonds. In the center is a white gold owl, the logo for his record company, with two big diamonds for eyes.